Welcome, thanks for visiting. We buy homes all over Arizona including: Tucson, Tempe, Mesa, Scottsdale, and Chandler. Sell your home quickly. Don’t think about short sales, think about getting a fair offer for your house today, avoid closing costs and other fees. 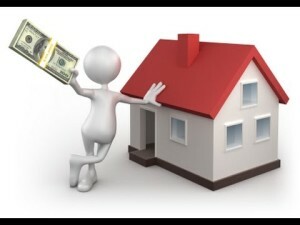 If you want to sell your home quickly and need a cash offer, we can assist you in purchasing your home. We have spent many years buying homes just like yours, give us a call today! Listen to this video testimonial from one of our very happy customers! Disclaimer: Your info is confidential and will not be sold to a third party. • Almost any situation you can think of! 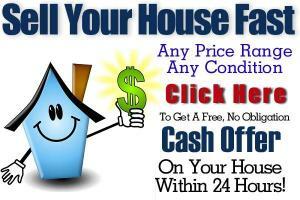 We buy Phoenix houses as well as homes in Mesa, Chandler, and the surrounding areas. We are Arizona home buyers. Hi, this is Mike. If you have a house or real estate in the Phoenix area that you would like to convert into fast cash, without a lot of hassle, then you have come to the right place. We have helped thousands of people out here, with this exact situation. Trading their unwanted properties for cash. We buy properties as it, in any condition, in any neighborhood, and in any price range. We also have solutions for folks, who may be facing foreclosure, or who may have a property in probate, a fire damaged property, pretty much any situation out there. Even a property with little to no equity in it. We are a private investment company with multiple properties right here in central Phoenix and in the suburbs. We buy fast with cash. We don’t charge a fee or a commission, and you don’t need to make any repairs to the property. So you can avoid paying thousands or even tens of thousands in realtor commissions and repairs. Let’s take a traditional realtor-type, non-cash sale, where you might have a realtors’ for sale sign in your front yard, then wait six months or more in today’s market, to find a buyer. And then, have to hope that the buyer’s appraisal report doesn’t cut down your sales price. Or that the buyer’s loan doesn’t hit a dead end due to issues with the buyer perhaps they just lost their job and their income stream. Your property, which may not quality for bank financing if it needs repairs. Or changes in the economy such as the interest rates going up, or underwriting guidelines tightening up. These things happen all the time and kill lots of deals at the last minute. That’s a lot of risk to take, and a long time to wait for your money. We cut through all of that to make it easy for you, and you even get the closing date which best fits your schedule. We’re here to provide a solution for you, not to create additional issues. If you don’t want to wait six months or longer to convert your property into cash, or don’t want to deal with repairs or other property issues, then work with out team. We are honest, ethical, and go above and beyond for our clients. There are two easy ways to get started. We will get back to you quickly with a fair cash offer. Again, we charge no fees, no commissions, no closing costs. So you get a solid cash amount that you can bank on. Call or contact us today, we look forward to working with you. Remember, there are plenty of people looking for houses for sale in Arizona, but why wait for them to stop by, see a for sale sign in front of your house when we can purchase your home quickly. Many people have properties listed right now, but they are still waiting to sell. The AZ real estate market can be really competitive, but remember, our specialty is that we buy houses. Don’t be concerned with other realty companies or real estate agents. give us a call today.